2. Call the Police: Emergency responders are vital after a crash. They provide needed medical assistance and secure the crash scene to ensure that passing vehicles are not a threat to yours and others safety. 3. Exchange information: You should record all insurance information as well as all identifying information about the truck. Take down any numbers that you see on both the cab as well as the trailer as they may be owned by different entities and could be covered under a variety of insurance policies. 4. Take pictures: The evidence collected at the scene is crucial. You need to properly document your accident to ensure that you know what happened later on as time passes and your memory begins to fade. Do not assume that others at the scene will preserve evidence of the crash. 5. 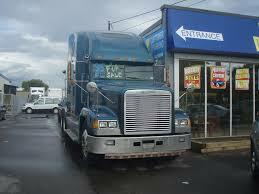 Get an attorney: Going against a trucking company can be intimidating and difficult. There could be millions of dollars at issue and you cannot afford a single mistake. An experienced Massachusetts truck accident attorney is vital to ensuring the success of your claim. At the Law Offices of Jeffrey S. Glassman, our team comes with the experience you need to handle any Massachusetts truck accident case. If you or a loved one have been injured by a commercial vehicle, call our Boston office today at 617-367-2900 for a free consultation with one of our attorneys.